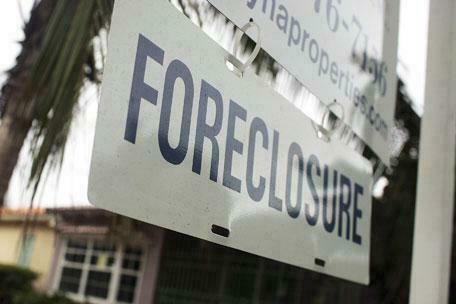 Parts 1 and 2 of this series discussed how banks handle properties up until the foreclosure is completed. Part 3 of this series began the discussion on how banks determine values when pricing their properties and what to look for in finding great deals. A key thing to look for with REO properties are the ones that cannot obtain normal FHA or conventional financing because of issues with their location or condition. If a borrower cannot obtain these types of financing, then the only way to sell the property is to offer seller financing or find a cash buyer. If the bank is offering seller financing then great for them, however most banks are not offering it – they just want the property off their books. On all cash deals, the price is going to be much lower than what a regular financed buyer would pay. By location issues I am typically talking condominiums. Many condo complexes that were built after the year 2000 are not FHA-approved simply because very few buyers were using this type of financing at the time the development was being sold off, so the developer did not take the extra steps necessary to get it approved. Conventional financing is another hurdle. Fannie Mae and Freddie Mac have tightened up their guidelines on condos tremendously over the last year. In addition to condo complexes needing at least 50%+ owner occupants, Fannie/Freddie are requiring that no more than 15% of the units be delinquent on their monthly dues. So in other words, many if not most condo complexes in Florida cannot obtain even conventional financing. Think about that. It might just be time to consider that vacation condo at the beach or the mountains. Banks are literally giving these condos away for pennies on the dollar compared to what they were selling for at the peak of the market. In March I sold a very nice 2 bed/2 bath condo that sold for $219,000 at the market peak for a mere $34,900 to a cash buyer. Regarding property condition issues, we are talking junkers. There are rehab loans like FHA 203(k) and such, but many loan officers are unfamiliar with them and most buyers do not want to mess with them. That leaves the cash paying investors. Things that disqualify the condition of the property for financing are a leaky roof, broken windows, plumbing leaks, missing mechanical items (water heater, air-conditioner, electric panels), missing flooring (no carpet, bare plywood floors), mold, large sections of peeling paint, rotten wood or termite damage, etc. Cosmetic items like torn screens, missing kitchen appliances, minor holes in the wall, outdated kitchens and bathrooms, etc. typically will pass for FHA and conventional loans. would like to recieve your free list of foreclosure and short sale houses available via e-mail. looking for daytona beach, ormond, and south daytona. Rob, great series. My husband and I are considering a forecloser purchase this summer so your process review is very helpful!